I don’t drink coffee or black tea but I love drinking herbal tea and usually drink around 3-4 cups a day. My favourite teas are Jasmine green tea, Tulsi brahmi and oolong tea. 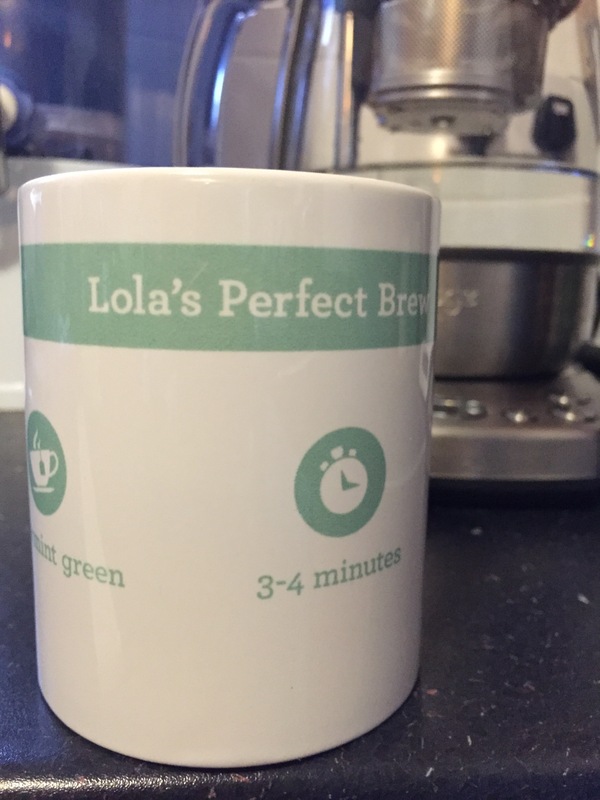 I was super excited when I won the Sage by Heston Blumenthal The Tea Maker™ and a personalised ‘Lola’s perfect brew’ mug in one of their Facebook competitions. 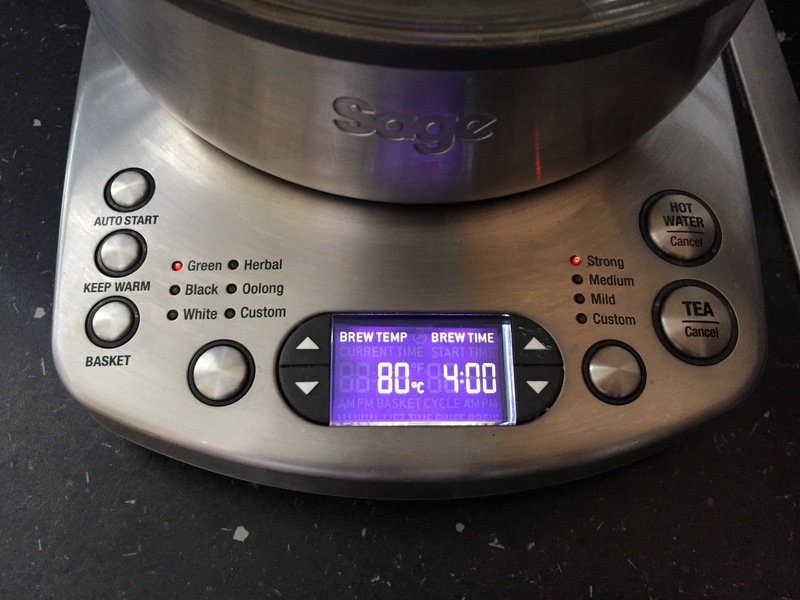 The Sage™ Tea Maker™ is the world’s first fully automatic tea maker, it brews for exactly the right time and at precisely the right temperature, keeping the tannins intact. Simply select the tea type and the leaves are automatically lowered into the water and then back up for perfectly infused tea. Heston’s Tip: When it comes to brewing, the less oxidised teas like green and white teas release their tannins at a lower temperature. If you brew too hot, the bitter flavours over power the tea. Conversely, if you brew too cold you don’t release enough flavour from the leaf. The right balance is all about the right temperature. Prior to me getting The Tea Maker™, making tea was a bit of a chore. 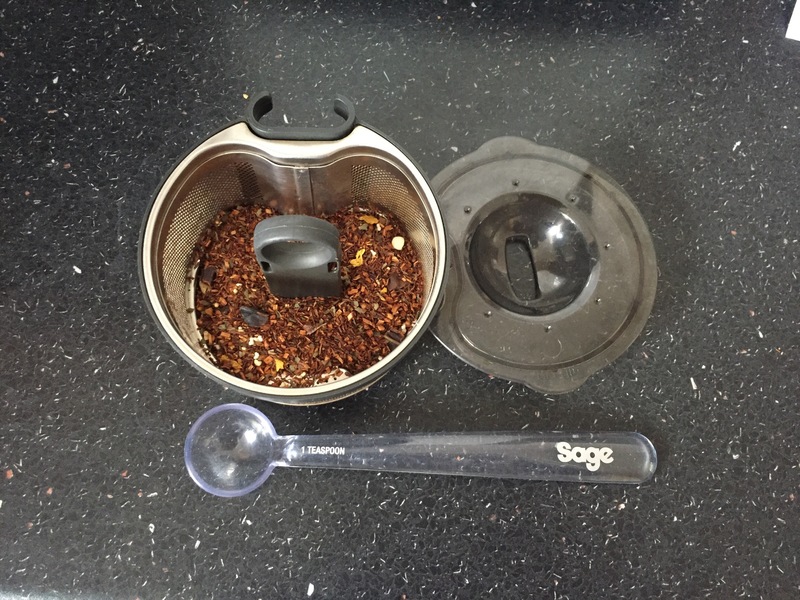 I would place my loose tea into an infuser tea pot; boil water in a kettle; wait for it to cool down slightly; pour boiled water into tea pot and wait for it to brew. The Tea Maker™ has 5 preset tea types recommended for optimal brewing of Green, Black, White, Herbal or Oolong tea. It also has a custom button for other tea varieties or to suit your personal taste. Now making tea doesn’t take as much effort and is enjoyable. The LCD screen will display the preset brew temperature and brew time for the tea type you select. Select the desired tea strength. You can choose from strong, medium, mild or custom. The tea strength you select determines the brew time. Select the Tea/cancel button to start the brewing cycle. Once the selected brew temperature is reached, the basket will automatically lower into the heated water. At the end of the brewing cycle, the basket will rise to the top of the jug and the tea alert will sound 3 times. And now I have perfectly brewed tea! This feature allows the brewed tea or heated water to remain warm for up to 60 minutes. This feature continuously auto lifts and lowers the basket during the tea brewing cycle. This movement loosens the tea leaves within the basket, allowing the heated water to circulate freely around the tea leaves for maximum infusion. You can use the The Tea Maker™ as a variable temperature kettle. Remove the basket, fill with water and select the arrow up/arrow down button to adjust the temperature. Press the Hot water/cancel button to start the cycle. My favourite feature is the programmable ‘Auto start’ which allows you to program the specific time when the Tea Maker will automatically turn on and start either a tea brewing cycle or water heating cycle. So no more debating with my hubby about who’s going to make the tea. We can now wake up to perfectly brewed tea and simply enjoy! Thanks Heston! or purchase the Tea Maker cleaner here and follow the instructions on the packet. My tea maker always comes out shiny and looking brand new after cleaning. The Tea Maker™ retails for £199 which is not cheap, however if you’re a tea and gadget lover like me, then this is one gadget you’ll love forever. I highly recommend it. 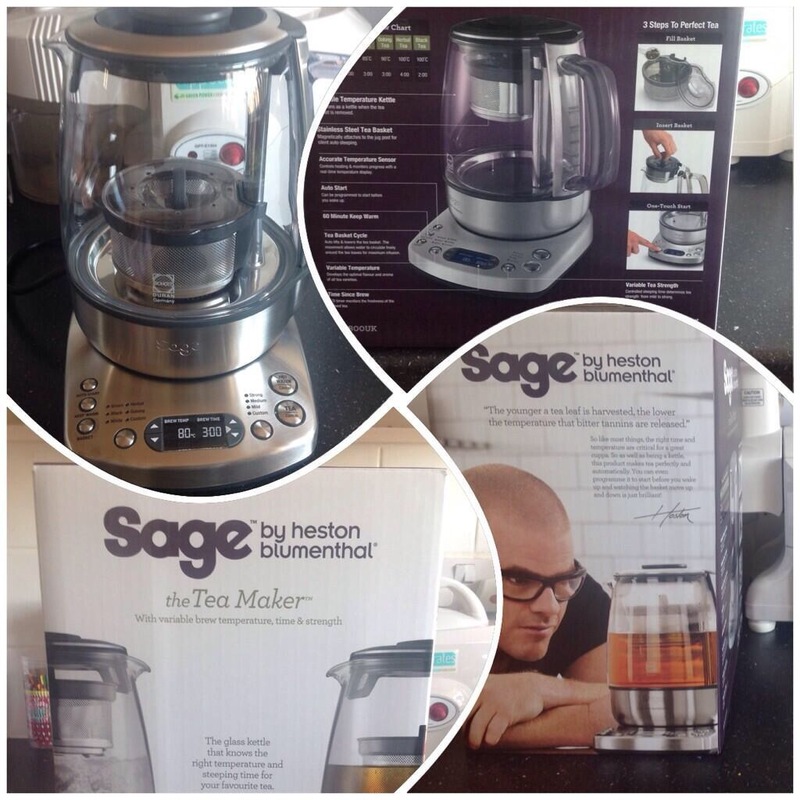 Check out some more innovative Sage by Heston Blumenthal appliances at Sage Appliances. 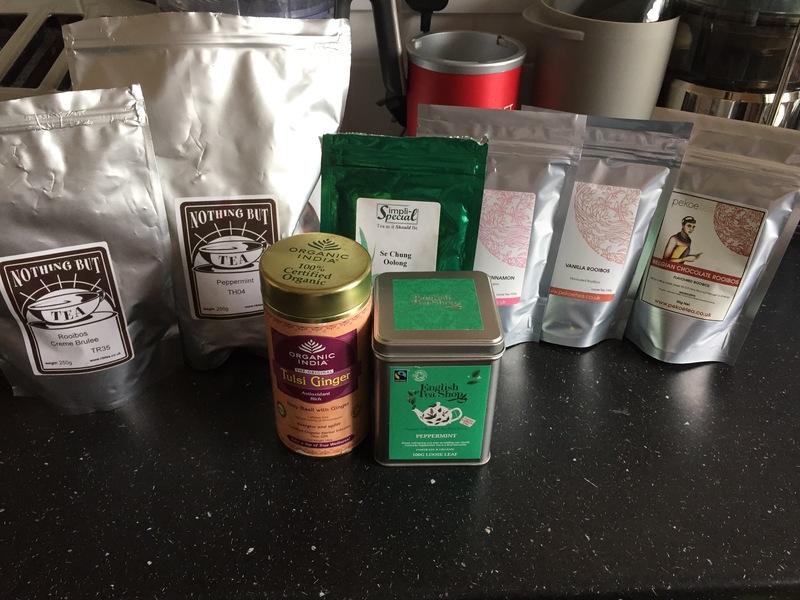 Are you a tea lover? What are some of your favourites? My little man Josiah is 5!